For the loving procrastinator who waited until the very last minute to purchase something for her dad, husband, boyfriend or brother, we can thank online shopping. It’s challenging because men are not as vocal about gifts as we are. The best way to go about it, is giving him something he uses every day. 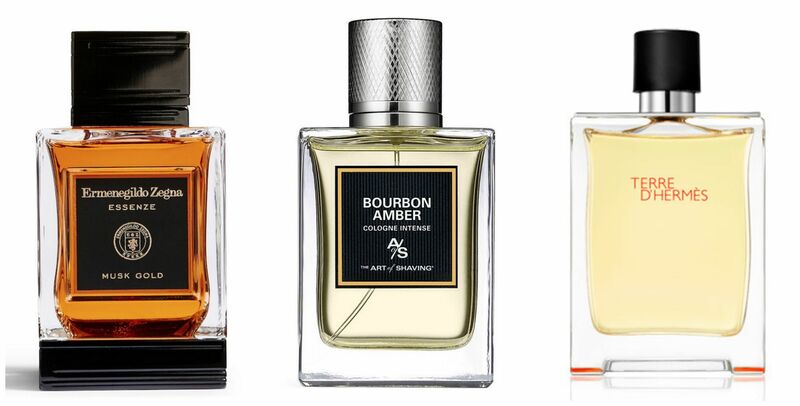 Father’s Day is the perfect excuse to introduce the most endearing man in your life to different brands. Aside from grooming products, we added a couple more things to inspire your shopping. As experiences go, why not treat dad to a memorable trip to a luxury resort in Playa del Carmen, Mexico. The adult only destination, is perfect for the father with grown kids ready for a dream vacation. Aside from the breathtaking location, this resort, winner of the World’s #1Travelers’ Choice Award, offers the following Spa Deals for Father’s Day. The SPA Sensations at IBEROSTAR offers a series of massages like the Oxygen Feet, Toffers and Hot Stone Massage. The Oxygen Feet Massage is a 25-minute therapy perfect to soothe and hydrate tired and golfer’s feet. Toffers is a 50 or 80 minutes technique created to to drain the accumulation of lactic acid between the muscles. It helps enhance physical performance as it relaxes the tendons and muscles. The popular Hot Stone Massage is also available for the dad who wants to relax with a 50 or 80 minute session. This technique was designed to release tension, relax stiff muscles and aid circulation. It’s the perfect way to end of a day full of adventure at the Grand Hotel Paraíso. You can never go wrong with perfume, especially with earthy, masculine fragrances such as Musk Gold Essenze Gold Collection from Ermeregildo Zegna. Notes of Black Pepper, Coriander, Saffron, Moroccan Cedarwood, and magnetic Myrrh among others, enhance this powerful cologne. The opulent aroma of Bourbon Amber from The Art of Shaving, mixes the rich scents of Lemon Primofiore, Cypriol, Vanilla, Lavender, Saffron, Patchouli, Sandalwood, Labdanum and Amber. The result is a woody and refreshing fragrance perfect for dad. Balanced art and craftsmanship were applied by Hermés to create Terre d’Hermés, a woody, vegan, mineral and elegant scent fit for a gentleman. For the master barber, The Art of Shaving is the ideal destination. The dark and rich scent of The Oud Collection is the perfect alternative for men not fond of perfume. 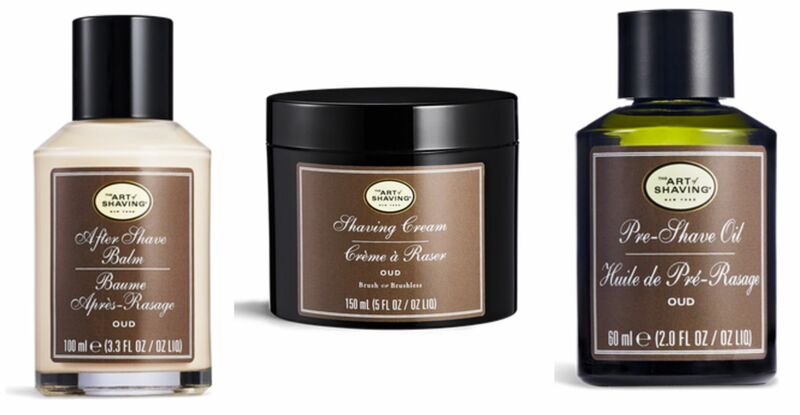 With notes of Coconut Acid, Glycerin, and Essential Oils, the hydrating After-Shave Balm, Shaving Cream and Pre-Shave Oil will change your dad’s shaving routine. To elevate his shaving experience to a whole new level, all he needs is the Fusion Compact Shaving Set from The Art of Shaving. The ideal companion to the Oud Collection. 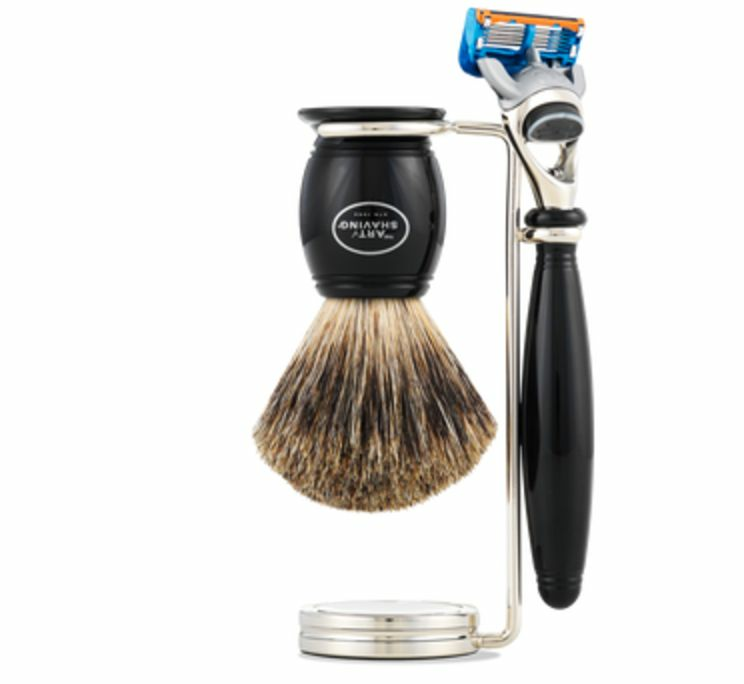 Your dad will give himself a professional shave every single day. Fig leaves, Cardamom and Bergamot, mixed with Cypress, Cedarwood and Musk, bring to live Coastal Cypress & Sea Fennel Eau de Toilette. This fresh perfume from Molton Brown, waves the ocean into a bottle. 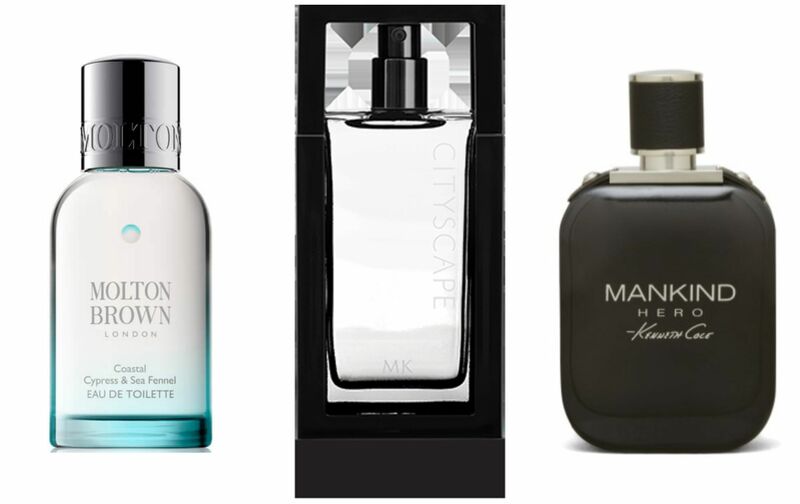 Mary Kay offers to the city-sleeker elegant dad, its Cityscape Cologne Spray. The notes of Italian Bergamot, French Lavender, Whiskey Barrel Accord, Cedarwood and Mediterranean Rockrose were infused to create this elegant cologne. Not only a gift for dad, but for others, when you purchase the limited edition Mankind Hero from Kenneth Cole, a portion of the proceeds goes directly to the Big Brothers Big Sisters of America. Rich woody aromatic scents, vanilla, sage and coriander are part of this delicate and sophisticated perfume. 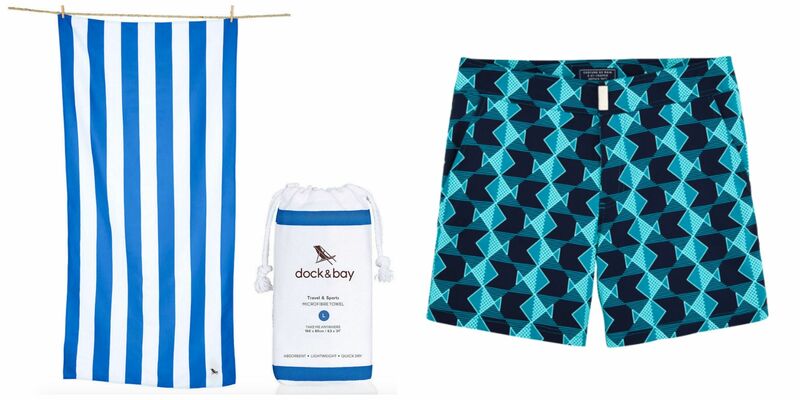 If you want to make your dad’s beach and pool experience even better, give him a Quick Dry Beach Towel from Dock & Bay. Absorbent, lightweight, quick dry and stylish, this travel friendly towel folds very small to fit in the pouch shown, and it’s more efficient than a regular beach towel. Also, update his swimwear with the luxurious Superflex Graphic Fishes Swimwear from Vilebrequin. 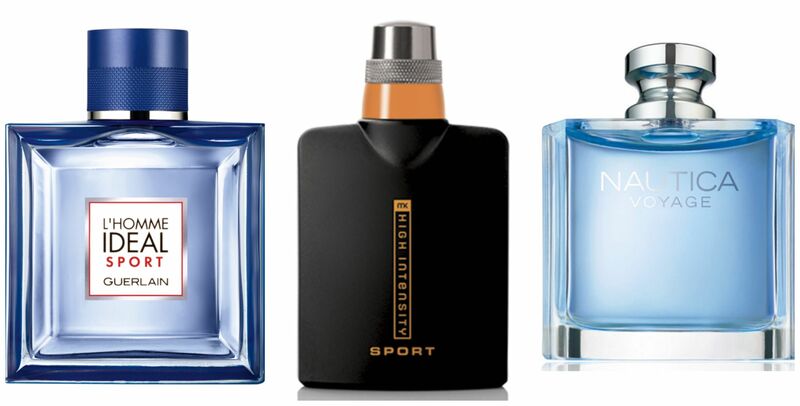 For the active dad looking for a clean fragrance to resist workouts, the following perfumes are a must. The refreshing L’Homme Idéal Sport from Guerlain combines fresh spices, aquatic notes and almond oils in its formula. Gin Berry, Icy Bergamot, Cool Cardamom, Crushed Mint were carefully cut with Liquid Oxygen Accord to create this High Intensity Sport Cologne Spray from Mary Kay. The Father’s Day choice from Nautica is Nautica Voyage. This cooling fragrance was created by incorporating notes of Cedar Wood, Water Lotus, Apple and Musk, to capture the ocean and salty air. If your dad is into wellness, scented oils and aromatherapy, The Revitalizing Carry On Kit from Saje is highly recommended. The purpose of this kit is to help your old man feel balanced, refreshed and revitalized. This limited edition kit comes with a Gutzy Belly Massage Blend, Arrive Revived Mist, Arrive Revived Oil Blend and the Clean Hands Lotion. 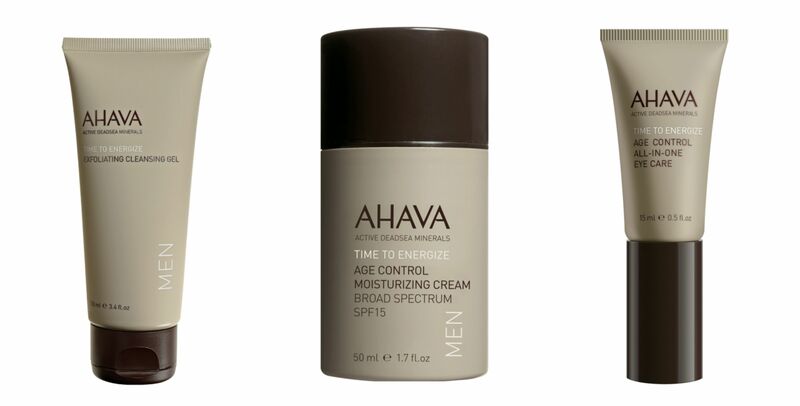 Allow your father to travel to the Dead Sea every single time he washes and moisturizes his face with this Exfoliating Cleansing Gel, Age Control Moisturizing Cream and the Age Control All-In-One Eye cream. A mixture of minerals from the Dead Sea plus the benefits of Gingko, Ginger and Ginseng extracts, were infused into these AHAVAproducts to delay skin aging. There’s nothing more manly than The Ritual of Samurai from Rituals. 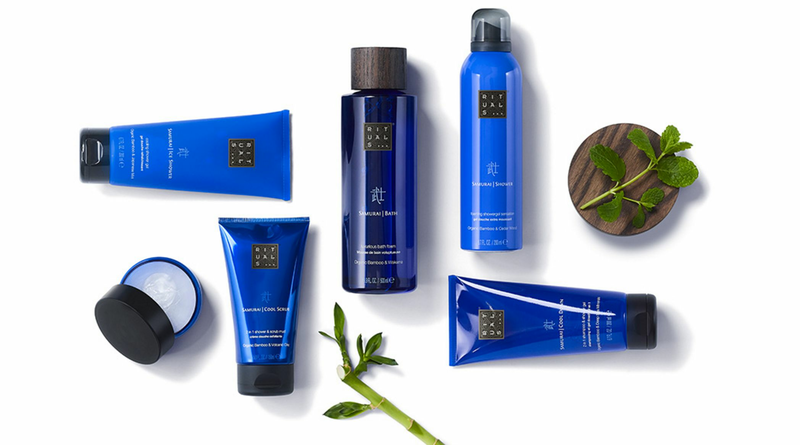 Inspired by the sleek Japanese Samurai, this collection will enhance your dad’s showering experience. He won’t get tired of the refreshing and earthy aroma of this ritual.